How did you feel the last time you were broken up with? What about the last time you were fired or laid off (if ever)? How did you react when you were let go from either relationship? After some reading and brainstorming, I have noticed some blatant similarities between losing a job and getting dumped. There are also a few glaring differences. Let’s examine both. Losing your job is no time to rejoice. Neither is getting dumped. If you take a “cup half full” mentality in either situation, you can look at it as an opportunity. There are always more fish in the sea, and there are always more employers looking for help. There are also opportunities to take your income into your own hands. New beginnings after a tough break can change your life for the better. Chin up, neither the loss of a job or being alone are permanent if you don’t want them to be. So get out there and start over already! Maybe you are depressed, feel useless, unwanted or used. Maybe you feel like you just got kicked in the nuts…unless you are a girl. These are common feelings for getting dumped or losing a job. The aftermath of the break (in both situations) can be unmistakeably alike as well. You may spiral into a deep depression, start “self medicating”, alienate others or any combination of self-deprecating acts. Desperation and fear are also common feelings for both situations. While fear may come from being alone or the stability you lost by losing your job or significant other, desperation may be less common, but just as devastating. If you boss just let you go, your immediate reaction may be to beg. You may be willing to accept less money or take a demotion. If your significant other just dumped you, the same reaction may arise. Maybe you get down on your knees, begging for another chance or promising more attention or less time at the bar. In either situation, this rarely works. Do not demean yourself. The other party has made up their mind and it is probably not an easy thing for them to let you go. You never know when you may get another chance, so take it like a champ and show some dignity. If at all possible, do not burn bridges. You may want back in to your previous company, or to work your way back into the good graces of your former lover. Take out your frustration and aggression in private by whatever means work best for you and you may still stand a fighter’s chance. For many, it takes quite a while to emotionally rebound from a breakup. Even more so if the relationship was long-standing. Conversely, upon losing a job, an imminent feeling of fear usually jump starts one’s foray into the next income generating project…whatever it may be. It often takes quite a while to “get back on the horse” in the singles scene than it does to get back in the job market. If the need for income was not so imperative, the opposite would probably be true. Your new found joblessness brings with it a huge hit to your wallet. Your primary income source is now gone and you will have to replace it, fast. But if you were let go from your relationship, the opposite may be true. Unless you were living together and your finances were joined, you probably have freed up some cash by getting let go. It is expensive to be in a relationship. Now all of the money you were spending on dates or gifts can be used however you please. As long as you did not do anything illegal or threaten anybody when you were let go at work, your friends are still intact. If anything, your relationships with (now former) co-workers may become stronger. This will especially ring true if you were laid off together. In a relationship, the opposite can happen with mutual friends. Some of the friendships you once shared may side with your former partner after the breakup, leaving you with a slightly smaller group to confide in and turn to for counsel. 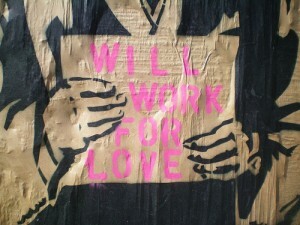 While we all hope that we will not lose our job or get dumped, it is almost an inevitability in life. Keep positive, turn to friends and persevere. If either has recently happened to you, you will get past it. No matter how much it has knocked you down, you can and will get back up. Giving up helps no one and just prolongs the misery.